Urmas Sõõrumaa is a private entrepreneur and an international investor. He began building his investment portfolio in early 90s, when he established security services company named ESS Group. The company became a market leader in Baltics within 5 years and holds this position till today. Over time, his investments in security sector rapidly grew and eventually led to the formation of U.S. Invest, which invested into number of business ventures, initially focusing on construction, real estate, facility management and security services in other regions. In 1998 Urmas Sõõrumaa sold 65% of ESS Group shares to Falck Group and few years later entered security business in Russia. In 2005 a facility management company was established in St Petersburg. Beside achieving success in several business sectors, U.S. Invest entered into energy sector by establishing Väo Power Plant in Tallinn. In 2008 U.S. Invest sold all shares of security business in Estonia to G4S Baltics while establishing new security operations in Ukraine, named USS Security. In 2010, all the shares in facility management company were finally sold to worldwide provider ISS A/S. Energy sector was also partly exited. Today, Urmas Sõõrumaa is involved in several social activities and charity foundations. 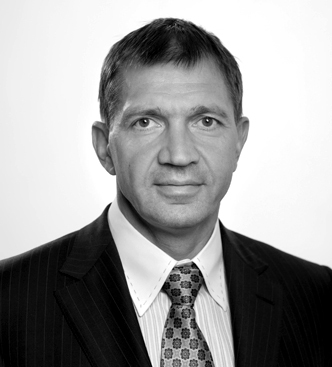 He has been holding positions as the chairman of the Supervisory Board of the State owned Estonian Energy and Estonian Railways, Member of Board in Estonian Business Association, President of Estonian Tennis Federation etc. He built one of the biggest tennis complexes in Northern Europe, Tere Tennis Centre that is located in Tallinn. Moreover, Urmas Sõõrumaa has unique art collection of more than 1000 units, partly demonstrated in his own U.S. Art Gallery in the heart of Tallinn.